The proportion of firms around the world expecting more than 60 per cent of their projects to be green certified is set to double over the next few years as market factors and conditions undergo dramatic shifts. The latest World Green Building Trends report foresees continued rapid growth for the sector around the globe on the back of strong pushes for increased sustainability by emerging economies. The World Green Building Trends 2016 SmartMarket report, produced by Dodge Data & Analytics and United Technologies Corporation, marks an expansion upon the scope of the preceding report published in 2013 with more than 1,000 respondents in the architecture, engineering and construction sectors surveyed across a total of 69 countries. The report sees the global green building industry continuing to double in size every three years as major economies make concerted efforts to shore up the sustainability of their construction practices and built environments. 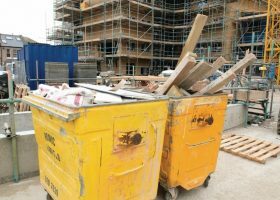 Green building currently comprises 24 per cent of all building project activity for the report’s survey respondents – a significant significantly decline compared to the figure of 38 per cent from the last report. According to the study’s authors, however, this diminished figure is likely the result of the expanded scope of their research, encompassing a greater number of developing counties as well as more architects and contractors within their survey group in lieu of specialised green consultants. Countries whose green share of building project activity remains significantly higher than the global average of 24 per cent include South Africa, with a figure of 41 per cent, Singapore, with a figure of 36 per cent and Germany, at 35 per cent. Whether an economy is advanced or emerging doesn’t necessarily affect the share of green building in its construction sector, with the green share of building project activity standing at 37 per cent in India, 35 per cent in Mexico and 34 per cent in Poland. Australia is faring reasonably well in terms of its green share of building project activity with a figure of 34 per cent, as compared to 33 per cent for the US, and just 27 per cent for the UK. A key measure of current and anticipated green building activity is the percentage of firms reporting that over 60 per cent of their projects are or will be certified green. This figure is expected to more than double over the next three years from 18 per cent at present to 37 per cent by 2018, with many emerging economies expected to see manifold increases. Chief amongst them are Brazil, which is expected to see sixfold growth in such firms from six per cent to 36 per cent in 2018, and China which is set to witness more than fivefold growth from five per cent to 28 per cent. The proportion of firms with more than 60 per cent green project is also expected to double in Mexico, Colombia, India and South Africa, and increase fourfold in Saudi Arabia, from eight per cent at present to 32 per cent in 2018. Key drivers of green building have seen some significant shifts over the past eight years since the first World Green Building Trends report was collated. Client demand and environmental regulations are two of the main and growing motivations for green building amongst survey respondents. Some 40 per cent of respondents considered client demand to be a “top trigger” for green building in 2015, as compared to 34 per cent in 2008 and 35 per cent in 2012. Environmental regulations have also risen in prominence as a motivating force behind green building, considered a top trigger by 35 per cent of respondents in 2015 as compared to 25 per cent in 2008. Conversely, pure altruism on the part of construction firms and professionals has plunged as a spur for green building, considered a top trigger by just 25 per cent of respondents in 2015, as compared to 42 per cent in 2008. The challenges to increasing green building activity have changed even more significantly over the past eight years as market conditions have shifted. While higher perceived first costs is considered a major impediment, the proportion of respondents who consider it one of the three top challenges to green building has plunged from 80 per cent in 2008 to 50 per cent in 2015. Other challenges that have diminished in importance include lack of public awareness, with 29 per cent considering it a top challenge last year as compared to 48 per cent in 2008, lacked of trained/educated green building professionals, which fell from 45 per cent to 21 per cent over the same period, and access to capital, with a decline from 28 per cent to 12 per cent. One factor which has increased in importance as a challenge for green building – particularly in the Australian market – is the perception that green is for high-end projects only, with the percentage of survey respondents considering a top three challenge rising from 10 per cent in 2008 to 28 per cent last year.